On top of being one of the best sites to maintain up-to-date stats, CBS Sports offers a few extra features that other sites do not. The website offers real-time scoring and live chat so you can keep tabs with your league members during your games. Like many other sites CBS Sports also offers free leagues and support pages and staff to help you if you have any questions. 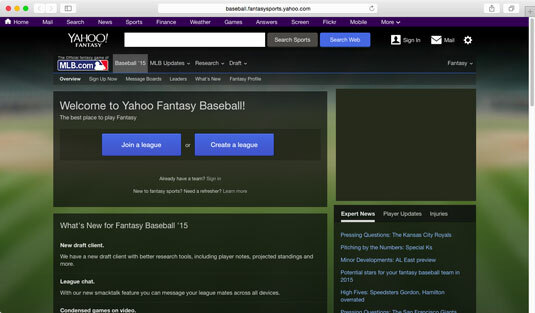 ESPN’s fantasy baseball site ranks in the top five due to player news and stats being constantly uploaded in real-time straight from the source — ESPN. This website too offers free leagues; however, additional help or more detailed player information will cost you extra! 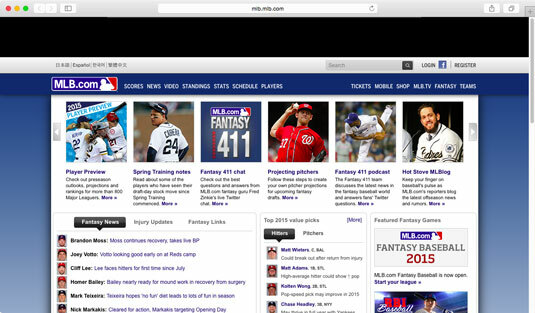 MLB.com is an obvious choice, since MLB.com is the official website for Major League Baseball. The site offers free leagues and team management options. However, the stat tracking could be more accurate, and a redesign of the team management tools is needed to make this site jump to number one. 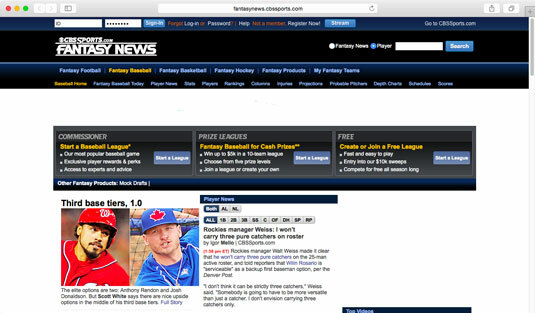 Essentially, this site is a great place to start for beginners who need the most basic of tools and options for their new fantasy baseball league. 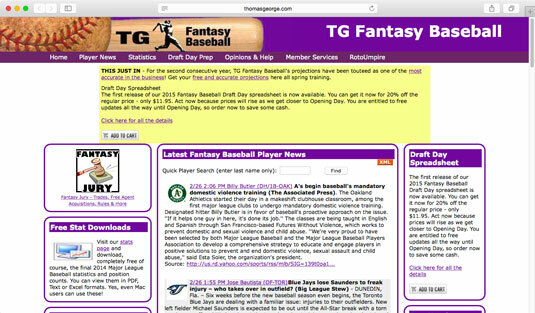 TG (Thomas George) fantasy baseball makes the list because not only is the site a breeze to navigate, but it also provides a forum area to get advice, help, tips, and tricks from other players. You can get multiple opinions and compare fantasy teams to others from the site. 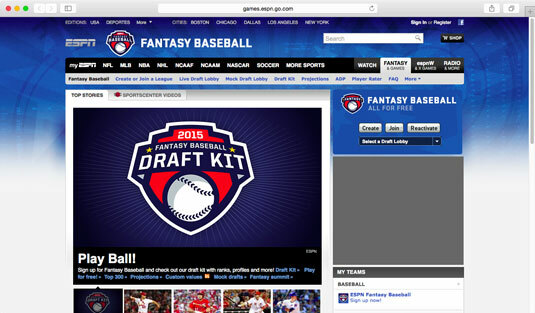 The original when it comes to online fantasy sports. The Yahoo Sports site offers all sorts of visual goodies and is hands down the best with up-to-date info and statistic tracking. The leagues on this site are free, but if you use any of the additional tools expect a hefty price. . . $9.99 to have access to a draft kit and $14.99 for scouting reports.